Painful, Ironic Twist: Sailor Moon's Ratings Were Too Good! Sailor Moon had terrific ratings but was dropped because it was hurting the new series, Hamtaro. Sailor Moon attracts girls, the hamster ended up attracting boys and needs more of them to survive. The Cartoon Network replaced Sailor Moon with Ed, Edd n Eddy to help its sick, expensive hamster and has plans for Toonami to attract mostly boys (for at least until the end of the year). It looks like a losing battle for the network but not for us. From now until August 31st, Sailor Moon fans (and anyone else you can get) are urged to email Kids' WB demanding that they get Hamtaro now! Since when do networks listen to fans? And what good would it do to move a hamster's cage? Read on to find out how & why. On their Homepage, look for the link "EMAIL US" and click on it. A window should pop up and you can write them an email there. A fan we know doesn't have cable, they should definitely write that they want Hamtaro on regular TV. One fan has cable but it doesn't carry the Cartoon Network, they want to see Hamtaro on TV. Another fan can only use one of those portable TVs in the afternoons and could watch the hamster on that. A different fan is not allowed to watch the TV with cable in the afternoon, they want to watch Hamtaro on their other set. And one fan has complained that their new digital cable keeps on breaking up and the old TV stations look better. Finally, one fan says that Hamtaro comes on one hour too early where they live but Kids' WB comes on at the right time. "Even their website seems like it's for kids!" Although a problem in the past (before June 2001), the recent broadcast of the series was very successful reflecting perhaps pent-up viewer demand and the efforts by fans to attract new & old viewers. The Save Our Sailors campaign (SOS) was almost immediately informed by a rival network that the ratings were, "...very good, way too good for an old show." And although the Cartoon Network tried to hide how good, they did publish some data which sheds some light on the subject. (See the Ratings Sidebar on this page). Our recent phone & email campaign (in protest of the removal of the series) accomplished some unexpected positive results. We have learned that some of the executives & staff at the Cartoon Network (for over a year), may have mistakenly believed that viewers were losing interest in the show. 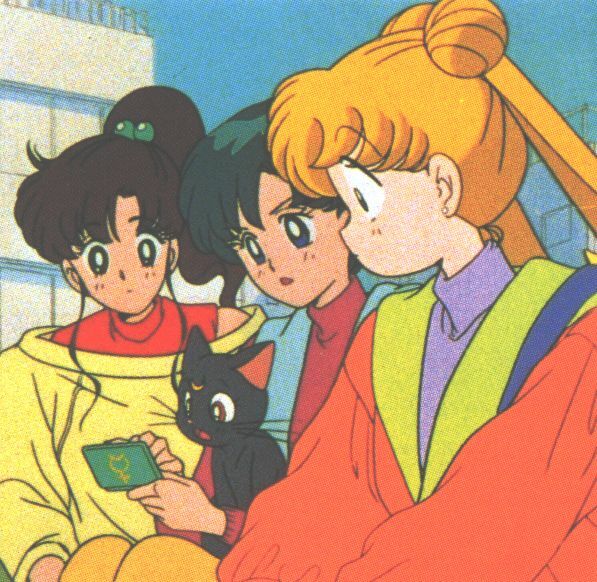 Normally, when a program is dropped or briefly re-emerges as Sailor Moon has in the past, the network receives phone calls & emails asking questions or making protests. But Sailor Moon is the only Cartoon Network show with an active online campaign; this campaign. 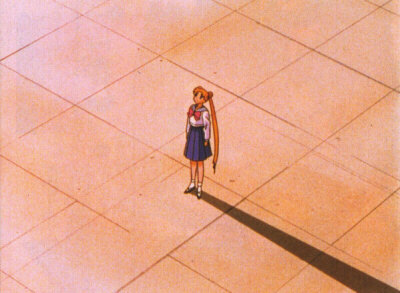 Unlike other shows, Sailor Moon fans are informed and usually warned in advance of any changes concerning the series. There is less need for fans to contact or protest to the network (especially when we explain the circumstances). But that did not happen this time; and it may have been one of the best things that ever occurred. One of our industry contacts heard rumblings of a possible change to the schedule and telephoned a Cartoon Network executive about 1 1/2 weeks before the show was dropped. The contact was assured that no changes were planned. The executive may not have been fully informed or told not to say anything. A few days later, some of the online TV schedule sites started to list Ed, Edd n Eddy in the timeslot (and, on the Cartoon Network's own site, that Sailor Moon would not return for the rest of the month). Fans instantly warned us. But our industry contact (who had been usually right about these things in the past) assured us that this was a mistake and that Sailor Moon would indeed continue to be broadcast. But then, on Monday, July 8, 2002, at 3:30pm Eastern Daylight Time, the show did not air and news of it spread quickly across the United States (and the rest of the world). We were immediately flooded with emails. New & old Sailor Moon fans were upset, confused and angry. "On our command, unleash Hell!" Feeling utterly betrayed we called for a phone & email campaign in protest over the sudden departure of the show. Posted first on our Tickertape on Tuesday morning, July 9th and then later as the lead story on our site, we called upon fans to telephone & email the network at their main number (which does not interfere with their individual lines--they're on a different exchange). The network's channels of communication with the public were, reportedly, besieged by Sailor Moon fans and those fans only for the remainder of the week. We do not know any statistics (we wouldn't expect a network to acknowledge fans' power) but we have been told that executives & staff now know that there is a lot of intense interest in the show by many, many fans. If the ratings didn't convince them, the onslaught of thousands of phone calls & emails did. And despite what some may think, we didn't receive a single complaint from the network concerning your phone calls & emails. A big congratulations to all fans for being so nice! The question may arise: Maybe fans should act more independently and not together via our campaign? But if they did, the Cartoon Network would no longer be surprised and would treat Sailor Moon like any other 7 year old show which failed in syndication, is readily available in Home Video and with its latest episodes repeating poorly in broadcast. It's only when we act together that we have so much more considerable impact. One aspect which we do not want to confirm is that one key Cartoon Network executive may have claimed to another executive (outside of the Cartoon Network) that they didn't know of any recent protest at all for any show. Huh? We hope that this person was flat out lying because if this executive has been shielded by lower level executives who are embarrassed by the campaign, well then events are only going to get worse (but not because of us as you will soon read). We here in the top secret underground SOS playroom don't like what we had to do and our history of avoiding conflict should bear that out. The last time we did anything like this was in early 1996 when Andy Heyward (President of DiC) suggested to us that we encourage fans to fax Bandai of America to return as a sponsor of the original syndication run. That, turned out to be not a great idea. "According to this you've been replaced because of a... hamster?!" It is also possible that the network will not run any episodes again and allow the 2 contracts (DiC & Cloverway) to simply expire. Another possibility (thought to be unlikely until recently) is that the network could continue to renew these contracts to ensure that the series & features (and possibly Sailor Stars) do not fall into the hands of their new competitors. The DiC episodes are renewable from the Program Exchange at the end of every May until 2004 when they are expected to revert back to the original producers, Toei Animation. The Cloverway episodes were produced exclusively for the Cartoon Network for premiering in June 2000 and are expected to expire during the Summer of 2003 but can be renewed. Monday, June 3, 2002 - Friday, July 5, 2002 = 25 episodes on the Cartoon Network. The abrupt cancellation of the most recent run was not due to the show's ratings (they were great!) but due to the kind of audience watching. Our penguin friend goes on one of his rants. And, How To Position Yourself To Get Fired From A Network! Kids! Don't Let This Happen To You! On July 28, 2002, the New York Times published what is called a "puff piece" concerning Hamtaro. A puff piece is when the writer doesn't investigate any of the claims made and helps the subject get publicity. Below are two excerpts from the story, "A Hamster With a Mission: To Make Billions, Gently" written by J.D. Considine. It appeared in the Arts & Leisure section. Nonetheless, "Hamtaro" has succeeded with that most finicky of audiences, pre-adolescent boys. 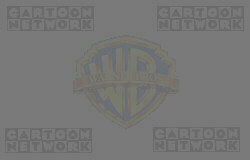 It has been a hit for Cartoon Network, earning its highest ratings with boys ages 9 to 14. Its 7 a.m. weekday broadcast, in fact, is the highest-rated show on any network among children 9 to 14, according to Cartoon Network. Even more impressive is the fact that "Hamtaro" has done well whether positioned as an early-morning kids show, or as part of Toonami, Cartoon Network's afternoon teen-targeted anime block. "finicky"? Not for Toonami! As they admit below, they were expecting (and wanted) younger viewers and more girls! "a hit"? Perhaps the writer needs a complete Nielsen report for the period? "highest-rated show on any network among children 9 to 14" Because kids 2-11 hate the hamster so much, they'd rather watch repeats! "Even more impressive" Impressive that it fails to attract Kids 2-11 in both time periods? "is the fact that "Hamtaro" has done well" A fact?! According to whom? To the writer? To the Cartoon Network? Has the writer compared the delivery, ratings & shares to Toonami in 2000? They haven't? Send them over to cover how great Enron, Worldcom & Global Crossing are doing! Later in the story, an executive for the network (unwittingly?) set themselves up as the person to blame come this Fall. "When we first got the show in, the thinking was that it was probably a younger-audience show," said Sean Akins, creative director for the Toonami block. "And then we all started to watch the show." Mr. Akins's crew, which he describes as "a bunch of bald-headed, tattooed tough guys," was smitten. "When most people look at it, they think it's going to be for little girls," he says of the show. But, he says, the ham-hams' antics "can be very funny at times." "a bunch of bald-headed, tattooed tough guys" Such lousy spin! Sean can't even say that his staff likes this show, he has to turn it into a joke! Below, for the record, are photos of the Toonami staff. "can be very funny at times" Because at other times they are what, so boring? So stupid? So idiotic? So inane? So colorless? So clueless? Oh wait a minute that's not the ham-hams' at all, "in fact" that's ---! Thank you Bad Badtz Maru for another fair & balanced report! And, now you know why math is so important! But one of the reasons why we've conducted such analysis is to rectify possible inaccurate statements made by some Cartoon Network employees. 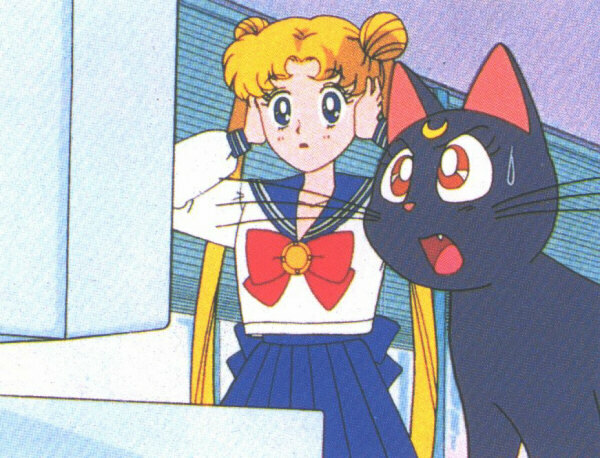 We have received emails saying that at least one telephone operator was claiming that Sailor Moon was dropped because of poor ratings. We trust that this operator was either making an assumption or was misinformed on the subject. We must note that the Cartoon Network did not publish any ratings on Sailor Moon. Had they done so, it would have taken the spotlight off of Hamtaro which has been the purpose for their recent press releases. Most of the ratings you'll read below concern the hamster. We've linked rating periods to the Toonzone site which has posted press releases with the published ratings from the Cartoon Network. We've selected Toonzone this time in the hope that they would start analyzing claims made by such companies or cease to post them. (But maybe they don't dare since AOL Time/Warner has paid them money to put advertising on their pages.) Otherwise Toonzone is an excellent site and seems to have the best message board on Toonami. Fans should take a good look at the original press releases and compare them to the actual information we have distilled below. Fans should be wary of what they don't see reported. When the Cartoon Network chooses not to publicize a certain delivery, rating or share; you can depend upon the assumption that it was because the number wasn't all that good or downright terrible. This is not true for other networks who, for the most part, do not publicize their ratings in ways that the Cartoon Network has. Against our standard practice, we've included a number that is usually ignored: The % increase of the audience as compared to the same time last year. Normally, this sort of comparison should be dismissed, since at this same time last year the Cartoon Network wasn't allowed to compete against Kids' WB (which we've nicknamed, "The Summer of Love" for short). So this year's percentages should automatically be huge! But these percentages do have some importance because this is the start of Summer--when most shows lose viewers as the months drag on. Since Hamtaro is supposed to be the new, hit program for this year, we should see ever increasing percentages during the Summer compared to last year. In a way, the percentage of viewers compared to last year is a better indicator of how a new show is performing than the actual number of people watching. Remember, during the Summer, a new show will lose viewers but should gain in percentages from repeats on last year. And all of these statistics can also be used to forecast how a show will perform against competitors' new programming in the Fall. Speaking of competitors, the hamster's number one competition in the afternoon is Pokemon on the Cartoon Network's sister network, Kids' WB. The reason they're up against one another is because that's the way the networks pitched their upfront sales to advertisers. The networks said, in effect, buy time from us and you'll be guaranteed to reach most 2-14 viewers available. We haven't bothered to figure out if that's true but it sure doesn't seem that way. Pokemon had just switched from 3:30pm to 4:00pm EDT & PDT and was in repeats during the period tracked below, so there was no special activity to draw away viewers from the hamster. Let's see how the oversized rodent (and by extension, the Moon Princess) performed, shall we? Above is the first sign that Sailor Moon has a large audience and is driving the afternoon hamster the wrong way. The hamster's strength is in 2-11; now imagine how much Sailor Moon (an older skewing show) received right before it. "Cartoon Network earned its highest weekly tweens 9-14 and household total day deliveries ever, up 34% (333,000) and 21% (1,064,000), respectively." "In total day, the network scored #2 in delivery of both kids 2-11 (809,000, up 9%) and kids 6-11 (470,000, up 19%)." Above, notice the decline in gains from last week. "Overall, Cartoon Network earned its highest-ever weekly tweens 9-14 and household total day deliveries, while both demographics also tied their highest-ever weekly total day ratings, the highest so far in 2002. Tweens 9-14 earned an average 379,000 delivery (up 25%) and a 2.0 rating (up 11%). Households scored a 1,101,000 delivery (up 15%) and a 1.4 rating (+8%)." Above, it becomes very clear that the hamster is a boys show which is not really for 9-14 year olds. Girls 9-14 seem to have made up about 1/3 of the 9-14 audience and began to stop watching the show and that's why the network stopped reporting them. (And that's also why Sailor Moon's afternoons were numbered.) The afternoon hamster must have really turned bad for the network since there was no glowing reports of them at all. With The Powerpuff Girls Movie about to premiere in about a week and a half, that series started to heat up. Wanna see what a real hit show looks like? (And these are just repeats!) Here it is! "Households were up 59% in delivery (1,501,000) ... Adults 18-34 posted the largest increases of all, up 111% in delivery (207,000)... "
" ... (T)he series was the highest-rated program in its time period on all television - broadcast and cable - among kids 2-11, kids 6-11 and boys 9-14." Above, during this week the network gave up reporting actual delivery (the number of viewers) and detailed only Nielsen ratings compared to a year earlier. Concerning days, the network " ... charted its best-ever June ratings (and tying best monthly ratings ever) for tweens 9-14 (1.8, up 6 percent)." "For the first time in its history, Cartoon Network surpassed 1 million homes in weekly total day delivery for the entire month 1,042,000 homes (up 11 percent monthly average); Tweens 9-14 delivery grew by 19 percent to 343,000 viewers; Kids 6-11 delivery improved by 6 percent to 466,000 viewers; Kids 2-11 delivery increased by 3 percent to 777,000 viewers." Above was the last week of Sailor Moon as the lead-in for the afternoon hamster. The huge jump in percentage of Boys 9-14 was probably due to the program in that slot a year ago (which was probably geared to very young kids and/or girls). The number of viewers (214,000) was actually less (309,000) than just 2 weeks earlier. Above, as time wears on, the percentages reveal which age groups will lose interest in the Fall (definitely 6-11 and, though the data isn't posted, 12-17 as well). Overall, the percentages (or the lack of them) are not that good. 2-11 should be increasing every week (and the network would be publicizing that). Overall the hamster is performing good but not great on the Cartoon Network. The show might have performed better on Nickelodeon or the new 4Kids block on Fox. But it seems clear that Hamtaro may lose too many viewers come Fall. If the Cartoon Network should attempt to save it further, the next headline could easily read, "Trying To Turn A Hamster Into A Silk Purse." Ed, Edd n Eddy (10:30 p.m.) placed #1, followed by Courage the Cowardly Dog (11 p.m.) at #2, and Dexter's Laboratory (11:30 p.m.) ranked #3. Kids 6-11 earned a 5.0 rating (+6%), kids 2-11 earned a 4.9 rating (+9%) and tweens 9-14 earned a 3.4 rating (+31%). Households earned a 2.0 rating (+11%). Delivery increases include a 41% gain with tweens 9-14, a 17% gain with kids 6-11 and a 21% gain with kids 2-11. Household delivery also improved by 21%. Ed, Edd n Eddy (10:30 p.m.) was the highest-rated program on television Friday night with kids 2-11 (6.3), kids 6-11 (6.6) and tweens 9-14 (4.9)." So what the network has claimed here, in effect, is that they are somehow successful in making America's children stay up late, way past what would be considered a normal bedtime. And from a business perspective, what does it say about your network when you have to make such a claim? "We have the top rated kid shows (that started at 10:30pm on one Friday night)!!!" Cartoon Network, this has just got to stop! Puhleeze just put our show back on the air and make some money already!!! This hamster needs a new, more suitable home -- and fast!